England; Early 13th Century. 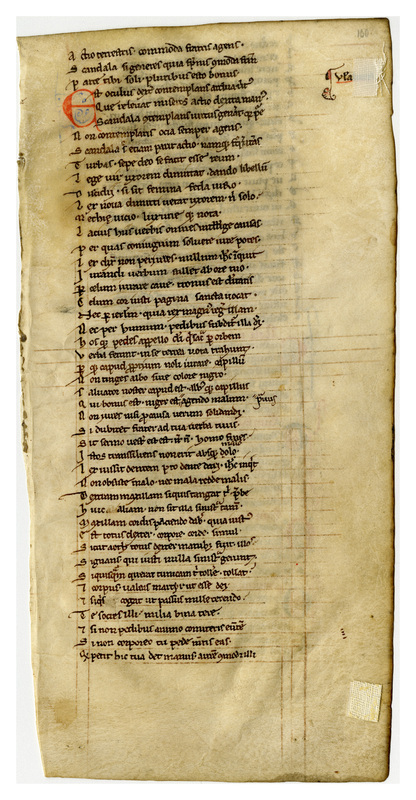 Latin Text; Early Gothic Script. 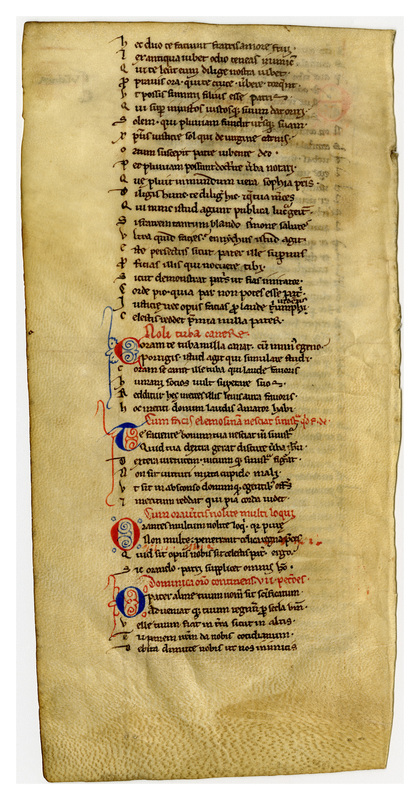 "Evangelium" 1138-85 (recto) and 1186-1227 (verso). Reconstruction Note: In Ege's original manuscript this leaf preceded what is now Leaf 07 in the Cleveland Public Library portfolio. Together, they contain the text of "Evangelium," lines 1138-1312. 300 dpi JPEG; 24 x 11 cm. “E0007 Leaf from an Aurora,” Digital Exhibits | Denison University Archives & Special Collections, accessed April 23, 2019, http://exhibits.denisonarchives.org/items/show/31.